As a parent, it is your job to protect your child when riding in a vehicle. Using car seats properly helps keep children safe. But with so many different types of car seats on the market, understanding how to use them correctly can be overwhelming for parents. 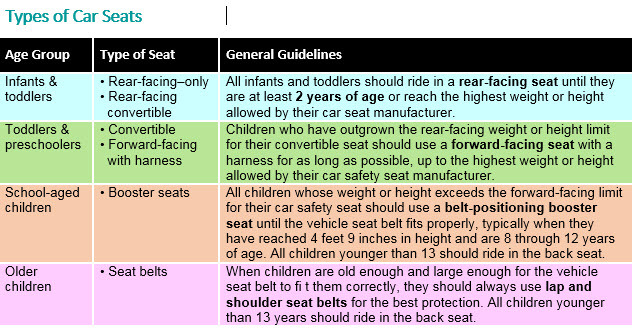 Use the table below as a quick guide to selecting the right kind of care seat for your child.